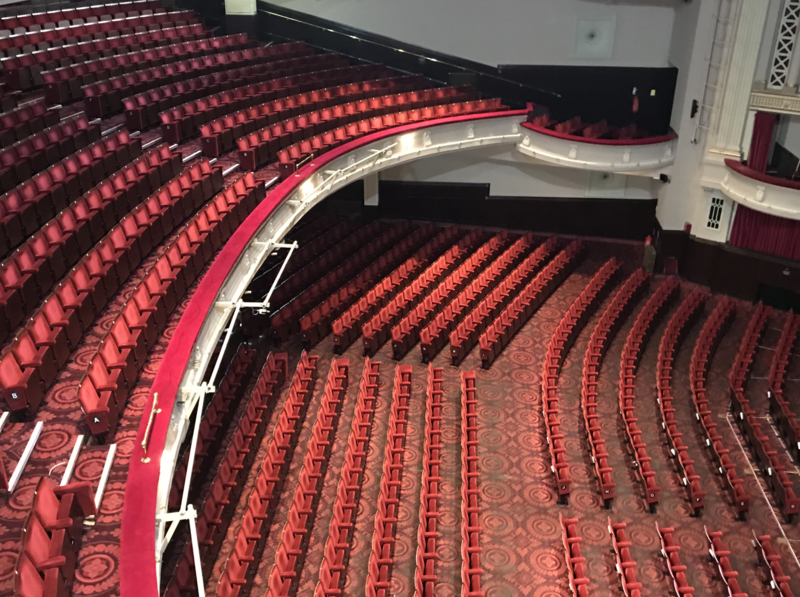 The Edinburgh Playhouse carried out a full auditorium re-decoration over a number of short closure periods with some unique access solutions to minimise the closure period. Push The Button worked with the Theatre’s technical staff and ATG’s technical management to design and install a GDS ‘Fade to Warm’ ArcLamp system, supplemented by discreetly placed downlights to increase primary and secondary illumination. The existing legacy Unison system was removed and flexible control was provided by an ETC Echo system. The project was scheduled around the closure period and then in subsequent work sessions around the venues program.